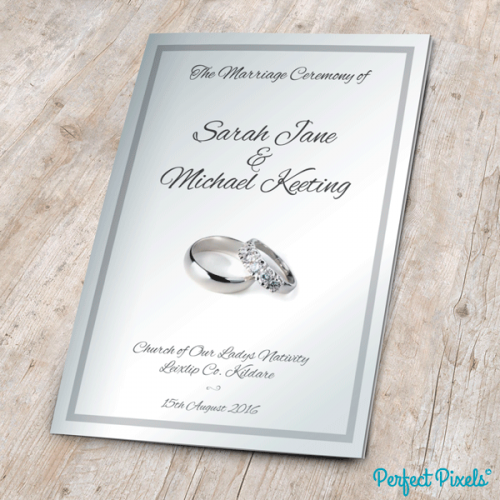 Our latest design wedding mass booklet with beautiful diamond wedding rings on the cover. If required we can email you a mass template (MS Word) for the content of the booklet for hassle free ordering. Please allow up to 2 weeks to print and deliver booklets once all is approved. Please noote that all our mass booklets come completely finished, printed, folded and stapled to a high standard.